10" x 8" - 12" x 10" - 16" x 12" - 20" x 16". I have designed my prints in standard frame sizes in order to make it easy for my customers. Standard frames sizes can be purchased from a picture framers or somewhere like Wilkinsons or Dunelm. Larger sizes 24" x 20" and 32" x 24" are available on request, however these are not standard frame sizes. All pictures are limited to either 100 or 250 editions. The print will come double mounted, signed and with confirmation of the limited edition number. The prints on my website are watermarked, but no print purchased will bear a watermark. The mounts are guaranteed not be fade and the image is printed on Fujifilm high quality archival paper. This website is linked by Paypal to provide a safe and secure payment option. If however, you wish to contact me directly to discuss an alternative method please use the contact page on this website. I am able to arrange for prints to be collected from Gallery8 In Teignmouth. You should receive your order within a maximum of 30 days, however, the usual timeframe from order to delivery is 7 to 10 days. My prints are available in Gallery8 Teign Street, Teignmouth. Teign Street is located just off The Quay car park near the docks in Teignmouth. The gallery also carried my hand made greeting cards, fridge magnets and calendars. The gallery is open Mon-Sat all year round The gallery stocks some great creative products made by local artists. All customers have a right to a full refund of monies even if the goods are received by the customer and are not defective. The full refund will be provided within 30 days from the date of cancellation. Customers have seven days to cancel the order from the date after receipt of the goods. Cancellation must be communicated in writing to David Blakeley Photography either by post or by email. Customers are under a statutory obligation to take care of the goods throughout the period of cancellation and to retain possession of the goods. If a customer cancels the order they must be returned with the original packaging and in the same quality it was shipped to the customer. As a visitor to this website you are not required to provide any personal information to David Blakeley Photography. If you purchase an item through this website you will be asked to provide minimal information about yourself. This information David Blakeley Photography collects about you is used to record and support your purchase of products. David Blakeley Photography will not sell, transfer or give your personal information to any company or organisation without your consent except to comply with laws or regulations of the Government or other regulatory bodies or to protect the rights of David Blakeley Photography. David Blakeley Photography has taken all reasonable care to ensure that the information on this website is accurate on the stated date or publication or last modification. It is possible that the information may be out of date, incomplete or the opinion of the author. It is advisable that you verify any information from this website before relying on it. David Blakeley Photography accepts no responsibility for the consequences of error or for any loss or damage suffered by users of any of the information and material contained on this website or any site you have access through this website. All images on this website are the copyright of David Blakeley Photography and are not to be copied, reproduced or used in anyway without the prior persimmon of David Blakeley Photography. 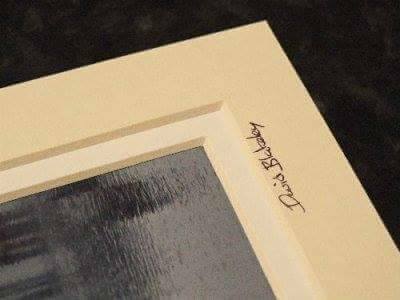 David Blakeley Photography trades at 16 St James Road, Torquay, Devon, TQ1 4AZ to where all written correspondence should be sent.